24-hour forecast: Sunny with cloudy spells today and cloudy skies tonight. Showers and thunderstorms will be isolated, but a few more will develop mainly over the south tonight. General Outlook: Cloudy spells with showers and thunderstorms increasing over most areas. Tonight E-SE 10-20 kts Moderate-Rough 5-7 ft ISOLATED SHOWERS OR THUNDERSTORMS. Tomorrow E-SE 10-20 kts Moderate-Rough 5-7 ft ISOLATED SHOWERS OR THUNDERSTORMS. Tomorrow Night E-SE 10-20 kts Moderate-Rough 5-7 ft A FEW SHOWERS OR THUNDERSTORMS, MAINLY SOUTH. 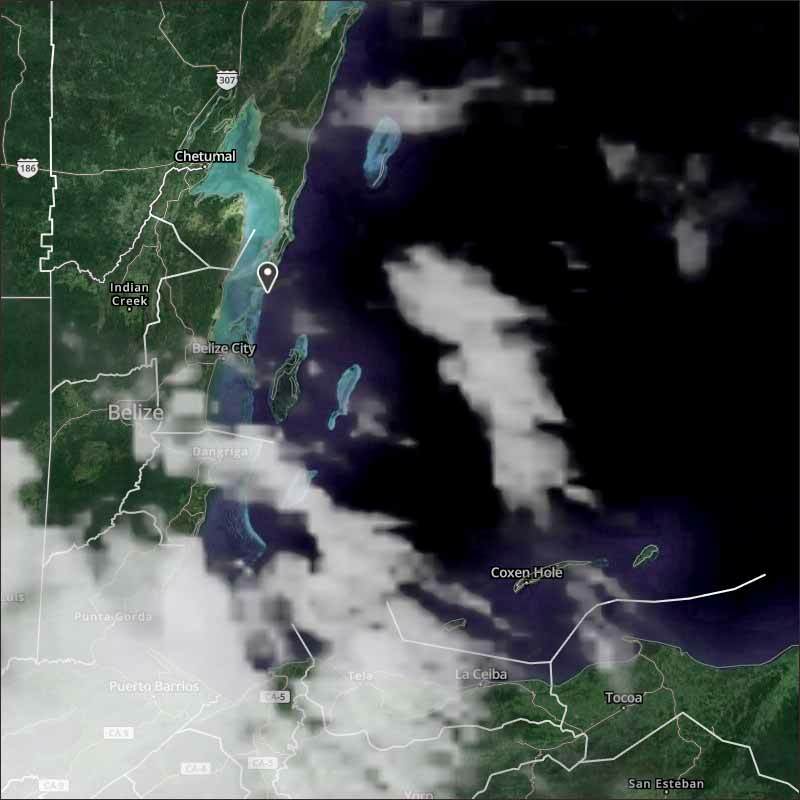 Outlook E-SE 10-20 kts Moderate 4-6 ft A FEW SHOWERS OR THUNDERSTORMS. 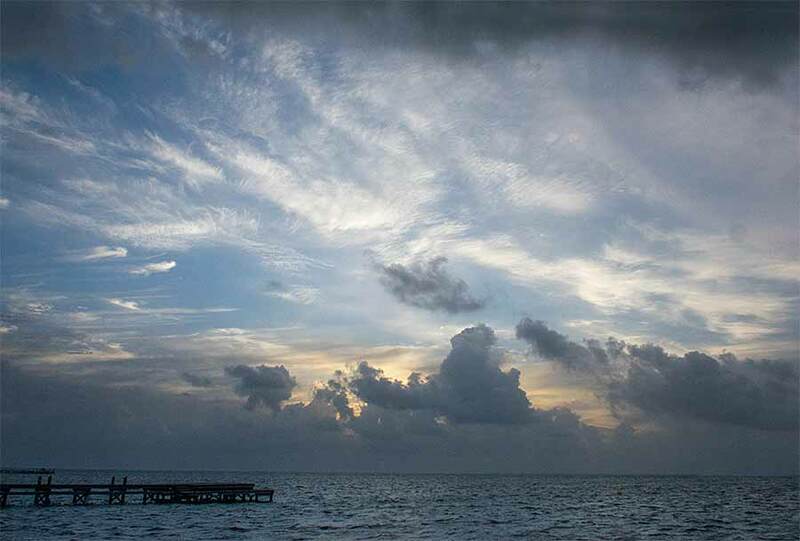 On Ambergris Caye this morning we have Advisories: *Small craft caution for gusty winds and rough seas* . The wind currently is from the ESE at 10. So I suspect the sea will calm during the course of the day. The expected high is 89. The forecasts lately have had a lot of rain in them but we haven't see much on the island yet. There a fair number of large ITCZ swell-ups last night, most in Mexico and Guatamala, a small one near southern Belize. So there was some overnight rain in parts of southern Belize, but that has now dried up. The Hurricane centre are getting very, very naughty. Only hurricanes were given names, then they started to give names to tropical storms, now they a have started giving names to just tropical depressions, they are trying to get the numbers of named storms up to justify their claim more storms, due to the non-existant Global Warming. So they have now named the one I saw develop TD CALVIN it is going further away from us, but still having a little effect on our weather. Looks like today will be a mixture of sun and cloud, some high cloud and regular white cloud later, probably no rain, but could be this evening.